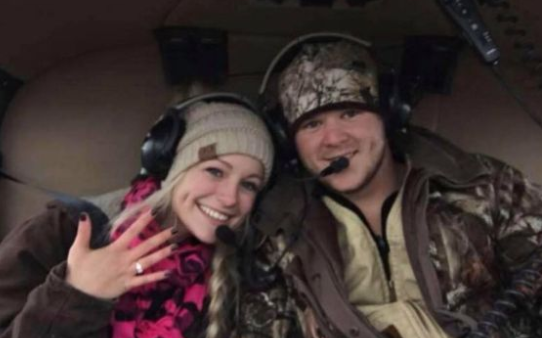 Both 24-year-olds Mr Will Byler and Miss Bailee Ackerman Byler studied at Sam Houston State University. The student newspaper was the first to report their tragic passing. Wedding attendees are devastated and at a loss for words, posting their condolences on social media. "I'm absolutely devastated!" wrote one friend on Facebook, adding that the pilot of the aircraft was also killed. Another friend wrote on Instagram: "I have peace in the fact that you left this earth so full of happiness and love. How awesome to spend your honeymoon with Jesus. So thankful we got to spend these last few days with y'all. Our hearts hurt now, but we know this is not forever." A wedding website showed a statement from the company on Monday saying: "Our deepest sympathies and thoughts are with this family at their great loss. We know both families appreciate all your love, support and kindness during this time." Pilot Gerald Green Lawrence was also identified among the dead. His step-daughter tearfully told a local news station that he was a captain in the Army and had served in Vietnam.